Last weekened I spent in Turku. No major plans, just a chain of lucky coincidence: Suomen itsenäisyyspäivä (Independence Day of Finland), long weekend (alleluia! 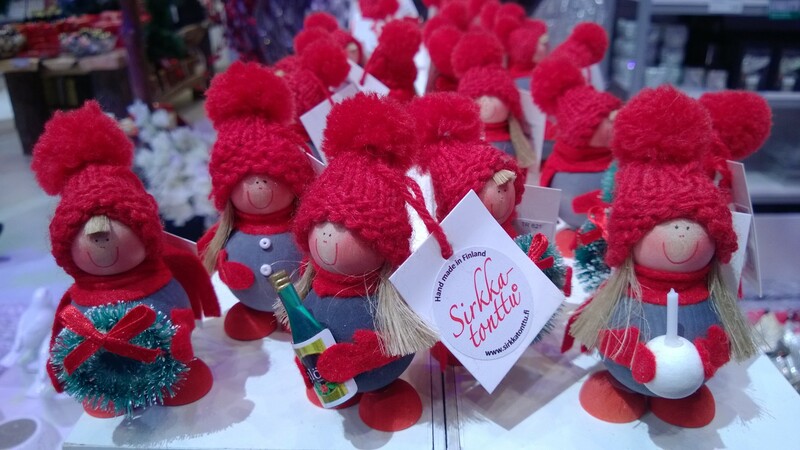 ), pikkujoulu (little Christmas) party with my friends and opening of the Christmas season – all topped with unbearable nostalgia that from time to time makes me take an express bus and travel to the southwest coast of Finland. I start thinking that in my own glossary, “nostalgic” is Turku’s most defining epithet. 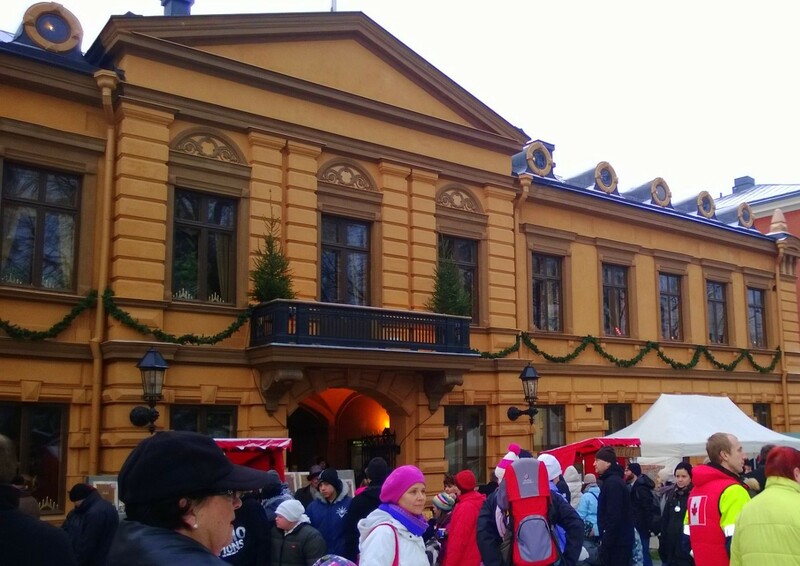 And yet… Christmas time in Åbo, the official Christmas capital of Finland made me think about another peculiarity. Numerous guide books will describe this season at its best: so vividly and enthusiastically that you can almost feel the bustle of medieval squares and the smell of caramelized apples coming from the pages. But there is something one should really understand in order to enjoy the visit fully (and I can’t emphasize it enough! 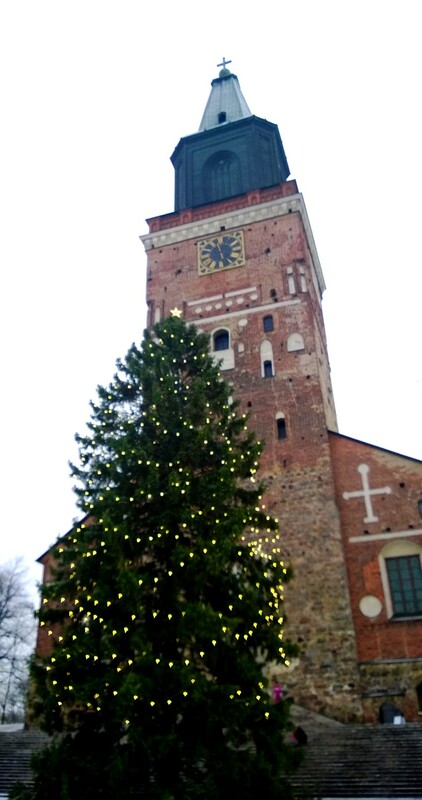 ): Turku is the Christmas capital Finnish style. While the Tourist office tries to please tourists by Christmas magic promises, the city just lives it own life, as it has been doing century by century. 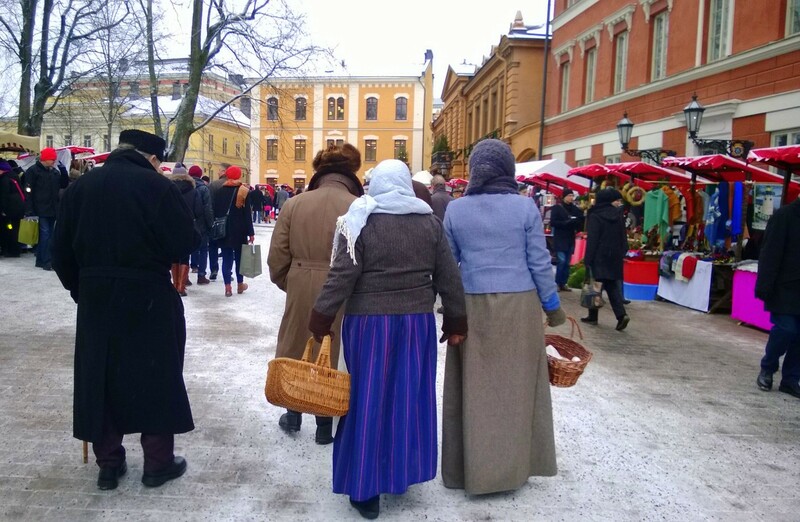 Turku is unsophisticated and simple-hearted, that kind of a city where you are responsible for your own impressions, and there will be absolutely no “wow-effect”. More like a nice Christmas party in kindergarten. BUT there will be a lot of tiny details to fall in love with: slow walking along Aurajoki (the river Aura), fairy lights from the boats reflecting in the water, silhouette of the Castle, solemn silence of the Cathedral, warm glögi from paper cups. And even the reading of Declaration of Christmas Peace – they do it from 1320, so may I say that the ceremony is as predictable as long-awaited? But still the moment when the scroll is read from the balcony of the Brinkkala building brings sudden goosebumps that fortunately nobody can notice under the layers of wind-snow-and-waterproof clothing. There is something reassuring in the fact that nothing changes in this city. Literally. I have been here for Christmas season 2007, 2008, 2009, 2011, 2012, and here it is – December 2013. 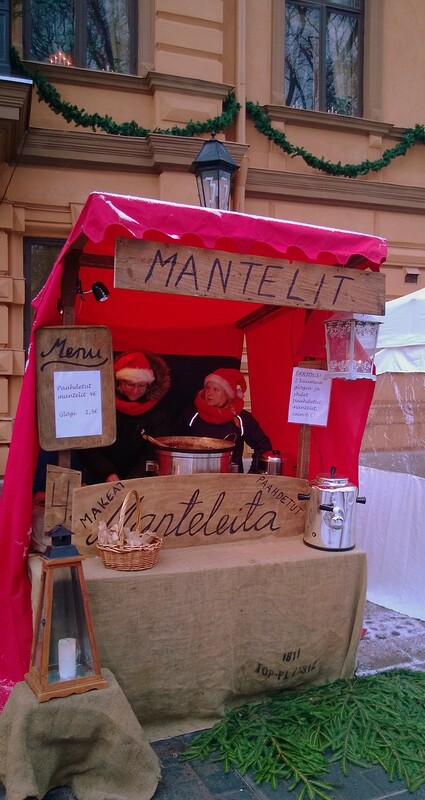 And coming to Vanha Suurtori (Old Great Square) I know exactly that the stand with handmade tar candles will be next to the silver counter, stall with Lappish honey – a little further, and delicious Manteli kioski (kiosk with almonds fried or grilled with cinnamon) – on the right side of the Brinkkala Mansion. Street fashion with some historic flavour. And the thing is that I do like everything above-mentioned. Probably, because I am biased. I love Helsinki but (fortunately? unfortunately?) it never got under my skin, the way Turku did, even though I have spent there the same three years. Maybe because I was younger, maybe because emotions were stronger, or maybe in this city-where-nothing-actually-happens there was much more time to reflect, so that in the end even the tiniest memories mattered. I remember how often I have been sitting in front of the Tuomiokirkko (Turku Cathedral), watching the tourist buses coming and going and just thinking about everything and nothing in particular. So for me Turku is a neverending splendid déjà vu.